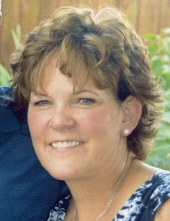 Michele Ann Mirfin, 58, of Hanover, PA, passed away on Sunday, April 7, 2019 at Gettysburg Hospital. Born October 12, 1960 in Baltimore, she was the daughter of James D. and M. Dolores (Topper) Rodgers. She was the loving wife of Chuck Mirfin, with whom she shared 30 years of marriage. Michele graduated from Westminster High School and worked as lab technician at Pitrone, Sorkin, and Jarvis Orthodontics, owned her own company; MM Orthodontic Appliances, and took on the role of Vice President of Mirfin Excavating & Paving. She enjoyed cooking, shopping, celebrating holidays and special occasions, travelling, and putting everyone before herself. Above all, she loved spending time with her family. For over 10 years, Michele would organize the DMS Memorial Golf Tournament in memory of her son, Derik. Surviving in addition to her husband and parents are children Christy Boyd of Westminster, Brad Mirfin of Taneytown and Ryan Mirfin of Hanover; grandchildren Brooke and Mason Boyd and Luca DeLaney; brothers Michael, Dennis, and Curtis Rodgers; brother-in-law Jim Mirfin; sisters-in-law Linda Freeman, Brenda Little and Sandy Horton; and numerous nieces and nephews. She was predeceased by her son Derik Sipes. The family will welcome friends on Thursday, April 11, 2019 from 2 to 4 pm and 6 to 8 pm at Pritts Funeral Home and Chapel, 412 Washington Road, Westminster. Funeral services will be on Friday, April 12, 2019 at 11 am at the funeral home. 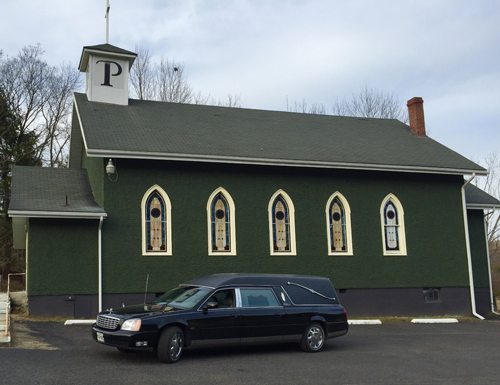 Interment will follow in Meadow Branch Cemetery. Memorial contributions may be made in her name to the charity of your choice. To send flowers or a remembrance gift to the family of Michele Ann Mirfin, please visit our Tribute Store. "Email Address" would like to share the life celebration of Michele Ann Mirfin. Click on the "link" to go to share a favorite memory or leave a condolence message for the family.